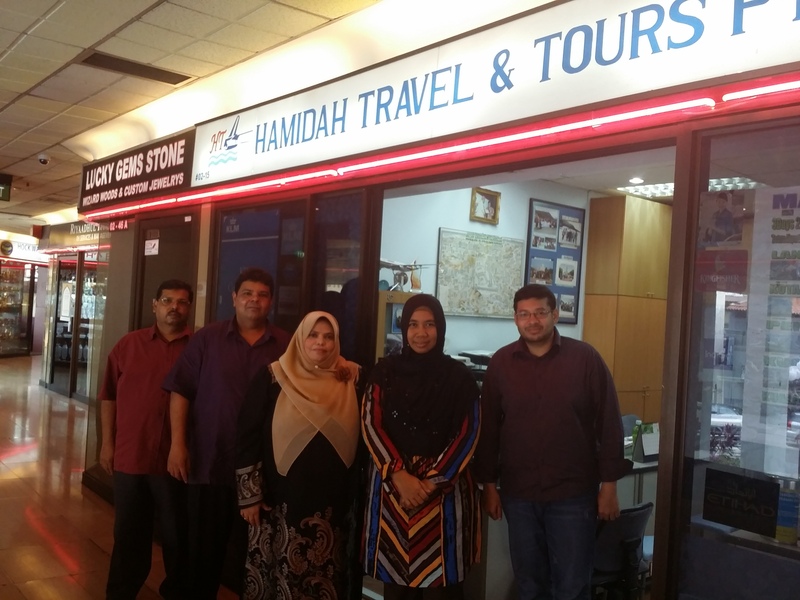 Hamidah Travel & Tours was established in 2004. We confidently embarked on our business operation with three dedicated members who had strong foundations and more than 20 years of experience in the industry. We have grown tremendously over the years, and are still growing. We insist that you experience comfort and feel assured when travelling with us. We are systematic and have a fully computerised booking system. We adhere to the tradition of TRUST, COMMITMENT and PERSEVERANCE. We engaged only reliable outbound travel operators covering worldwide destinations. To be the most progressive leading travel company providing positive contributions and partnership in the world of travel and tours. To provide excellence and masterly service in all your travel needs. It is of utmost importance to us to ensure your comfort and satisfaction.